Having toured in France and mainland Europe for more than 5 years (hosting over 300 gigs! ), the 6 musicians from the south west of France that form “The Banyans” have steadily been gathering an eager crowd. 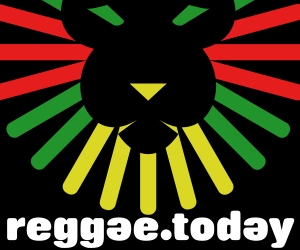 Following the success of their first album « Steppin Forward », and their concerts more and more across Europe (over 300 concerts), including prestigious opening act, such as The Wailers, Groundation, Clinton Fearon, Alpha Blondy, the Banyans crew is now a must-band of the current reggae scene. Meanwhile, to keep its strength and independence, the band gives rise to Khanty Label Records. To concoct this and vibrancy of their show, the crew has been enriched with new talented musicians! Currently, now seven members of Banyans, recorded their album in the famous Parisian studio « Davoust, » which hosted OTher between U2, the Rolling Stones, Alpha Blondy, Gainsbourg, Lenny Kravitz, the Skatalites or Ray Charles. To complete this new album (release scheduled for 23 February 2015) and to tap into the roots of reggae, a trip to Jamaica is organized in November to bring us wonderful surprises and beautiful collaborations. With many concerts planned and a second album that will transport the audience into her universe roots, 2015 will undoubtedly be the year of the Banyans!